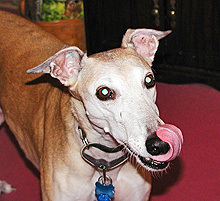 First, if your greyhound or other dog is not eating twice a day, as you would like it to, and sometimes has a growly stomach, sometimes eats grass, or sometimes throws up bile, it may have what I have dubbed 'empty stomach syndrome'. To ensure your dog feels better, you have to take positive affirmative action on your own and not wait for the dog to comply. That means force-feeding. For many years I have suggested Science Diet Maintenance canned food because it can be easily scooped out into individual one tablespoon servings and used as a torpedo to push into your dog's open mouth. Click the link below to see a step-by-step guide to force-feeding your dog. 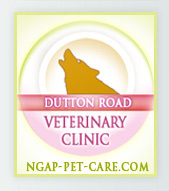 Once your dog has food in its stomach, it will begin the metabolizing process and usually appetite will follow. However, this is not always the case and you may have to use an appetite stimulant. I have found Mirtazapine 15mg to work very well, even long-term, without any adverse effects. Mirtazapine is used in humans as an anxiety medication but can also used as an appetite stimulant. 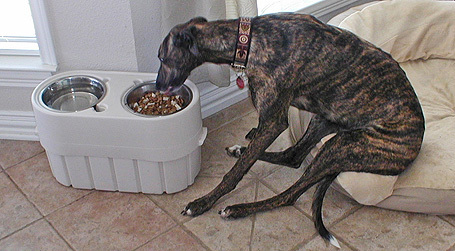 My large galgo, Tye, who is 95lbs, has always been a picky eater since he was a puppy. He normally needs incentives in his food, such as freshly cooked chicken or bits of dehydrated duck. If Tye is not eating, he is given 30mg of Mirtazapine once a day at about 8am through force-feeding with food. The pills must be given with food or the dog will throw them up. Approximately two hours after, he will have an appetite and down his first bowl of food - and usually later a second. As this article is being written, Tye is on track and not currently on appetite stimulant at all. 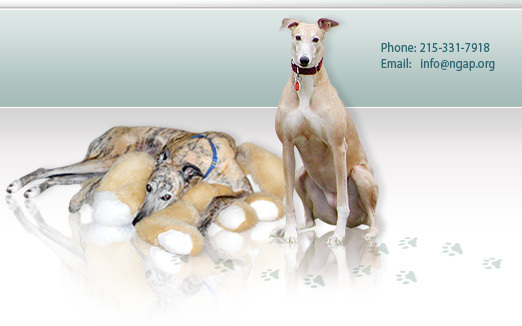 Bebe, my Italian greyhound, was turned into us emaciated and near death. Although she now weighs about 15lbs, she was only about half that when she came to us and very fragile. She was initially given a course of steroids, IV fluids and had to be force-fed her meals. We started giving her half of a 15mg tablet of Mirtazapine every day force-fed with food. She has now been on the medication for three years now. During the course of the day and with a little coaxing, she will eat a sufficient amount of food. She is in good health and has high energy. Without Mirtazapine, Bebe would have most certainly died. Letting her continue to fast was not an option. Tiny, my Italian greyhound, was 16 or 17 years old when we put him to sleep last year. He was also on Mirtazapine 15mg, 1/2 tablet once a day for about three years. It worked much the same for him as it now does with Bebe and made his three final years, good years. He was strong up until the end. I am sold on Mirtazapine because it has worked in my home. Although we need to be diligent about force-feeding the stimulant each day to make it work, it then makes life so much easier. 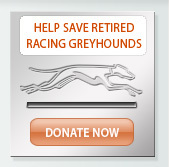 We do not believe that the dogs have been adversely affected through giving them this medication. It appears to have no obvious side effects and, in the view of this writer, there are obvious benefits concerning quality of life that override not using Mirtazapine. Mirtazapine is a prescription based pharmaceutical and should only be given under the advice of a veterinarian.